From Ferrari's to Car Shopping, and More! The march toward Polyphony’s latest installment in its hugely-successful Gran Turismo series has just gotten more exciting. The game is called Gran Turismo Sport and it’s currently available for pre-order. If you’re a PlayStation owner, you’ll definitely want to do just that judging by the amazing realism and some exotic new locales showed off in this new trailer. 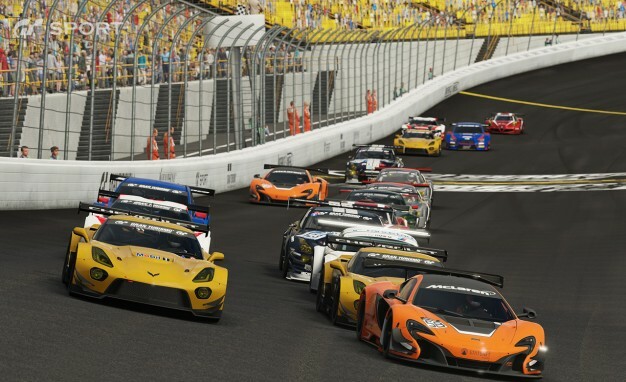 The trailer give us a more thorough taste than before, when the series announced its exciting partnership with the FIA for an online racing league. The trailer also shows off an Alfa Romeo 4C racer, so watch closely. Pre-order the game and you’ll get a special car in-game depending on where you’ve bought it. The freebie cars announced so far have included a Ford Motor Company [NYSE:F] Mustang Group B Rally car, a Toyota FT-1 Vision GT Group 3 racign car, and a Peugeot 908 HDi FAP LMP1. One standout versus the regular Gran Turismo games is that all 140 cars available to drive in the game will feature interior cameras with detailed imagery just like a real-life driver would see. Additionally, given how technology has advanced, it shouldn’t come as much surprise that Gran Turismo Sport includes compatibility with VR headsets and a mode for 4K screens. The Photo Mode also now lets users place their cars in front of more than 1,000 scenes across the world. The game is due for release on November 15. What if your next Uber driver picked you up in a Bugatti? Requesting an Uber driver is kind of like playing automotive roulette: You never know what you’re going to get. Odds are good that a Toyota Camry or a Nissan Altima might pop up, but some lucky passengers in Dubai wound up with something much more impressive. Instead of an expected Toyota, passengers were picked up by entertainer Coby Persin in a Bugatti Veyron. Like most Veyrons, it wasn’t exactly a subtle one as you’ll see in the video. Even in Dubai, where supercars are commonplace, a Bugatti as an Uber is certainly out of the ordinary. Persin took over a friend’s account and set off along the sidelines of Sheikh Zayed Road in the rapidly-expanding industrial sector of Dubai not far from the dealership where he picked up the car. His passengers definitely enjoyed the surprise, with one asking him how fast the car can accelerate. When Persin obliges, the look on her face is pretty much priceless, though that is to be expected in a Bugatti. Author GaryPosted on May 23, 2016 Categories Bugatti, Bugatti Veyron, Supercars, Uber, VideosTags ask questionsLeave a comment on What if your next Uber driver picked you up in a Bugatti? I give Auto Architecture permission to collect and use my data submitted in this form.